Bettie Easton thinks the M.E.L.O.N.S. (Mature, Elegant Ladies Open to Nice Suggestions) need to ingratiate themselves into Backwater society by helping out at the soup kitchen/food bank. Myrtle agrees, as long as the weather cooperates--it IS January after all, and who wants to be out in the cold and snow? But Myrtle's heart quickly thaws when she sees the extent of the community's need. 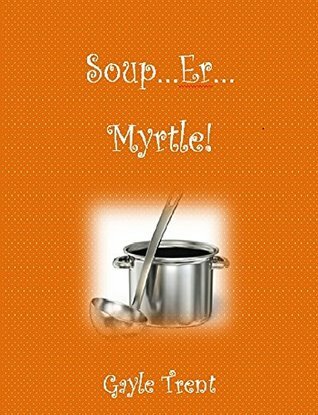 When it becomes apparent that an identity thief is using the soup kitchen/food bank to mine for victims, Myrtle kicks her sleuthing into overdrive! I love this series. Myrtle is such a fun character and the stories are the perfect cozies to curl up with. 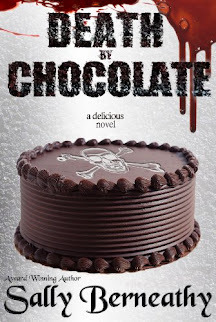 If you're looking for a lighthearted, quick read, I highly recommend this one.